It never feels good when someone lies to you, but when it’s a well-known and respected company, it’s shocking. Unfortunately, some companies don’t seem to be above lying if it means making more sales. And it’s the buyers who, too often, pay the price. The lie: Volkswagen was caught red-handed cheating on mandated emissions tests on its diesel vehicles. Approximately 11 million of its diesel cars were equipped with the software used to cheat on those tests. How they were caught: Scientists at West Virginia University discovered a discrepancy between official VW emissions testing data and real world road test emission levels. The road tests showed nitrogen oxide emission output was up to 40 times the maximum allowed by law. Upon further analysis, the scientists discovered that software in the vehicles sensed when the cars were being tested in a lab and triggered equipment that reduced the vehicle’s emission output. But when the cars were taken out and driven on actual roads, the software disengaged that same equipment revealing the higher emissions and the lie. The consequences: Volkswagen admitted to cheating on the emissions tests—not only deceiving their customers but also raising larger concerns about the greater toll its vehicles’ emissions have taken on the environment. It’s considered one of the worst cases of consumer fraud in years and has badly damaged the automotive manufacturer’s reputation. In the United States, the car company may be asked by the Environmental Protection Agency to recall up to 500,000 cars. In Germany, Volkswagen has been ordered to recall 2.4 million of its vehicles. In both countries, the company must provide a fix to the software responsible for the deception and provide the necessary vehicular repairs for all of us who own Volkswagens. The company says it will start fixing the cars in January 2016. The iconic carmaker’s CEO has stepped down and now the once-trusted company is in crisis mode as it faces tens of billions of dollars in fines and plummeting stock value. The lie: Ashley Madison, an online portal for would-be philanderers, was hacked and the data dumps that followed exposed manipulative and deceptive practices on behalf of the company. These include significant doubt about the percentage of female profiles on the site to attract male subscribers, based on evidence that many of the female profiles were fake, powered by engineered "fembots". How they were caught: A hacker group self-identified as “The Impact Team” pilfered, then released, two large sets of Ashley Madison user data. They were seeking to force Ashley Madison executives into shutting down the site because they proclaimed it to condone questionable morals and because the business they were engaged in what the hackers described to be fraudulent business practices. The tech site Gizmodo then undertook an in-depth analysis of the released data. According to the analysis, a great majority of profiles for women on the site were not real and, in fact, were powered by engineered bots that made it seem as if they were actual women. Data showed an estimated 70,000 robots were programmed to send male users fake messages—key to creating the appearance that many women were using the site. Apparently, much of the fantasy created by Ashley Madison was just that—fantasy. Worse, perhaps, than Ashley Madison raking in millions of dollars in subscriptions from men believing they would have a shot at conversing (or more) with women, was what happened to these men when their personal data was released along with company records. Suddenly, it became public knowledge who was using Ashley Madison, leading to an untold number of very awkward spousal conversations. The consequences: There’s not much that the website and the parent company, Avid Life Media (which also owns other hookup sites “Established Men” and “Cougar Life”), can do for its customers following the hack, but it certainly doesn’t bode well for the long term future of Ashley Madison. The company says it has secured the site and is working with law enforcement agencies, which are investigating the hack. But it’s still a harsh wake up call for all involved. The lie: Snapchat claimed to have created a way to send texts, images, and videos that would vanish without a trace, within seconds. Additionally, those behind the app claimed it didn’t collect users’ personal data like emails, phone and contact numbers, but it did. How they were caught: With promises about the “disappearing nature” of users’ messages, the app rocketed to the top of the charts; riding (and, perhaps, accelerating) the sexting trend. However, tech savvy users quickly found work-arounds showing messages that were sent through the app were stored in other places on the phone. They also found ways that third party apps could tap into Snapchat and easily capture the videos, images and texts. And as for the claim Snapchat didn’t collect users’ personal data, not so much truth there, either. Because of the way the app interacted with the iOS “Find Friends” feature, the app actually did gather and store users’ data. Oops. The consequences: Snapchat app developers were charged by the FTC with deceiving customers. In a 2014 settlement, the company will be monitored by an independent party for the next 20 years to ensure that privacy policies are kept in check. A cautionary tale for social media startups, and another reminder to manage your privacy expectations if you're getting your jollies on social media. The lie: Nokia misled potential buyers with a commercial for the PureView camera on Nokia Lumia 920 smartphones, claiming that the device’s “optical image stabilization” was far better than it likely was. How they were caught: When the PureView camera models were released in 2012, Nokia touted their ability to shoot clear and stable videos. The company showcased a commercial depicting a man and woman riding bikes by a river showing side-by-side versions of the scene. One apparently shot with a non-stabilized device was presented next to a separate but similar shot purportedly using Nokia’s image stabilization technology. The non-stabilized version looked shaky and a bit blurry, while the version using the phone's image stabilization was as steady as if shot by a professional camera rig. Remember the old adage, “If it seems too good to be true it probably is,”— the footage WAS shot by a professional camera rig. The deception was discovered after a tech website noticed a reflection in the window of a trailer in the background of the ad showing a van, lighting rig and cameraman. 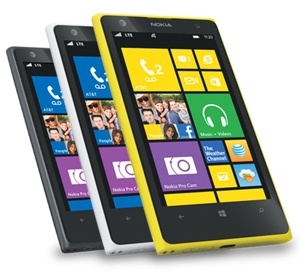 The consequences: Nokia later publicly admitted it "simulated" the screen images in the advertisement and confirmed the video was not shot with the Lumia 920 with PureView. Still, the company had failed to give any notice to the consumer that the images were simulated. A Nokia spokesperson agreed the ad was misleading, saying it was “never the company’s intention to deceive anyone,” but rather to demonstrate the new technology’s benefits. The company later issued an apology and updated the video. Buy it was too late to turn what should have been an exciting product launch into a public relations disaster. The lie: The big four phone service providers allowed unauthorized charges to be put onto customers’ phone bills for third party services that were likely never ordered, authorized or received. The practice, known as “cramming”, meant millions of dollars in unauthorized fees were hidden in phone bills. If you’ve ever received a horoscope, beauty tip, flirting tip, or other strange text on your cell phone and later incurred a charge on your bill, you may have been a victim of “cramming.” The charges were individually small, but when added onto the bills of millions of customers those small charges added up to a big-time scam, padding the pockets of the major carriers along with the scammers. How they were caught: After customers lodged numerous complaints against the telephone companies, the Federal Communications Commission, the Consumer Financial Protection Board and State Attorney Generals worked together to investigate and then file charges against the phone companies. The consequences: The carriers will be doling out more than $350-million-dollars in combined penalties and restitution. And the carriers have to abide by new rules that ensure billing language is clear and non-misleading and that any service provider charging the additional fees are identified. Consumers who believe they may have bee the victims of cramming can find guidance on the FCC's website. Some dollar-based justice for a dollar-based cover-up. This Refund Program was for current and former T-Mobile customers who may have incurred unauthorized charges for third-party Premium SMS (Text Message) services. The deadline to submit a claim to the Premium SMS Refund Program was June 30, 2015. The program has now closed. If you submitted a claim online before the June 30, 2015 deadline you can review the status of your claim with your registration number and password. If you submitted a claim form before the June 30, 2015 deadline by mail or email you can contact the Refund Administrator. Where does that leave us and the millions of other people that were lied to? Moved to a different city, needed my number changed, but wanted to keep my “unlimited” cell plan. They said they could do that. AND…ROBIN (the person I talked to on the phone, after filing a claim with BBB)told me AT&T doesn’t even offer an unlimited calling plan…LIE!! THEN she tried to bill me for an extra month! I told he I was not going to pay it cuz I didn’t own her that money. So, she turned it over to a collection agency. To make a long story short, she canceled the collection thing. I WILL NEVER DO FUSSINESS WITH AT&T AGAIN!! Just think about all the people they do this to AND all the money they are making on top of the millions they all ready have!! AT&T told me they could NOT give me an unlimited calling plan because they don’t off them….LIE!!! They do BECAUSE I HAVE/HAD ONE!!! 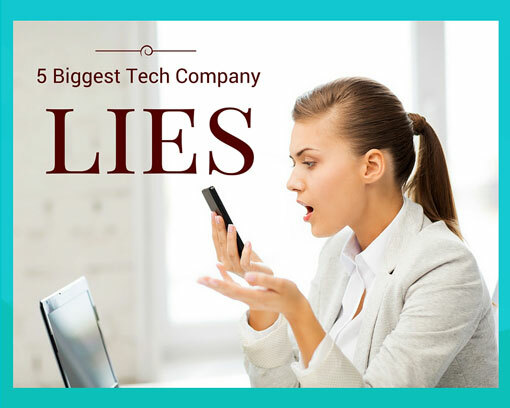 It was wrong for these companies to lie. They were penalized and that’s good. But what about IRS official Lois Lerner lying about going after conservative organizations and not being punished? The Dept of Justice let her off scot-free.